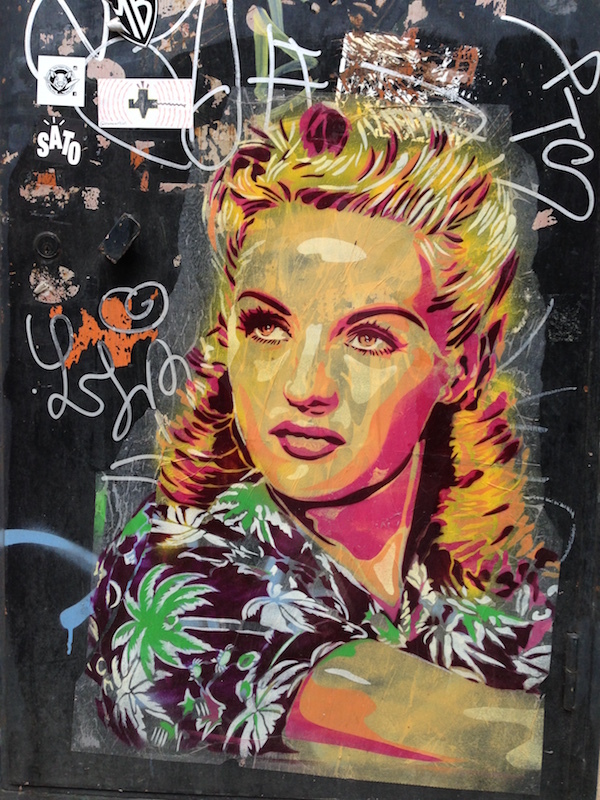 Here’s a portrait of Hollywood star, Betty Grable. Thanks to O.P. [see comments]. I had previously erroneously attributed the portrait to Rita Hayworth. Came across it on Carrer Lleida, just off Avinguda Paral·el, not so very far from Albert Adrià’s restaurant, Pakta. Brilliant! Well done. Many thanks for that. Betty Grable…NOT Rita Hayworth, of course.